What Should Christian Women Look Out For In A Man? Putting this into a spiritual context, Christian women should yearn for a man who is frequently exercising his spiritual muscles. Maybe he attends a bible class, midweek service, home group, or even a mens Bible Study. Regardless of what his spiritual workouts looks like, any woman who is seeking a Godly man should find someone who is constantly refining his relationship with Christ. Proverbs 14:29 states, “If you stay calm, you are wise, but if you have a hot temper, you only show how stupid you are.” A woman after God should always seek a man who can collect his temper, hold his anger, and constantly seek to stay calm a midst trials and tribulations. 3. Someone who can lead. Napoleon Bonaparte once said, “A leader is a dealer in hope.” And while I understand that not every man is destined to be a world-renown leader, I do believe that each individual man in this world has a leadership role to fulfill within a marriage. Whether this role be filled by helping make big decisions, managing finances or even leading the family spiritually, every man is called to be a leader. He should inspire trustworthiness within you. If you don’t seek a man you can trust, you’ll probably end up making him as bitter as you’ll make yourself. Not worth it. If you can’t find a man you can trust, you should probably take some time away from pursuing. If there’s good reason not to trust him, don’t even think about pursuing a relationship with him. A man who doesn’t pray is a man who doesn’t truly have a relationship with God. I encourage all women to seek after a guy who has a strong prayer life with the one who created him. A man worth pursuing is a man who seeks after God on a daily basis. A prayerful man will encourage a prayerful relationship. He should care about others more than he cares about himself. Look at the way he treats her family and her friends. If he’s not close with his family, and doesn’t have any close friends, that’s probably a red flag. Some questions to ask yourself: Does she care about the needy? Does she go out and volunteer where it’s needed? Is he willing to give up the shirt off his back for someone in need? These are important characteristics to consider when looking for a man to spend your life with. Seek a man who has confidence in his skills, and uses them to pursue his dreams. Not only should this man seek to fulfill his God-given calling, but he should also empower his wife to pursue hers. Godly women should seek a man who is passionate about life, his calling, and his marriage. Don’t get caught in a relationship with a man who is lazy. Don’t reach for a man who is unlikely to forgive. The last thing any women of God want’s is to be in a relationship with someone who holds resentment for mistakes, issues, and misunderstandings. A forgiving man is a Godly man. Seek a man who showcases the same love and grace as Jesus. 1 John 4:8 says, “But anyone who does not love does not know God, for God is love.” We can conclude that any man who truly loves God, is a man who loves without limitations. Women need to look for someone who is willing to showcase love no matter the circumstance. You don’t want to get caught in a relationship with someone who acts like showing love is worse than pulling teeth. Proverbs 22:1 states, “A good name is to be chosen rather than great riches, and favor is better than silver or gold.” And while many people might not necessarily agree, I believe any God-fearing woman should desire to seek a man whose reputation is always kept under control. Don’t get me wrong. Everyone is entitled to their own opinion, but joining a man whose reputation has fallen for a reason is something you should think twice about before accepting . Seek to be with a man who gets raving compliments when his name is brought up mid-conversation. I guess we young men have a lot to do to be able to attract the Godly woman we desire in our lives. Very Informing and thoughtful. Thank you Author. Thank you for reading. 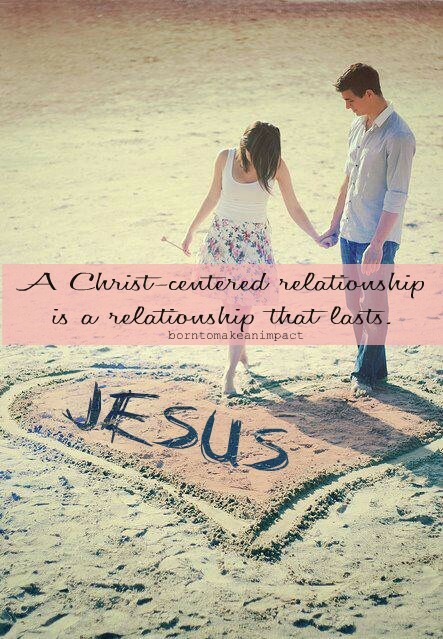 I guess we all play a very important role in having and enjoying a successful Christian relationship... This was authored by Jarrid Wilson, visit www.jarridwilson.com and be blessed with the amazing word of God he shares.